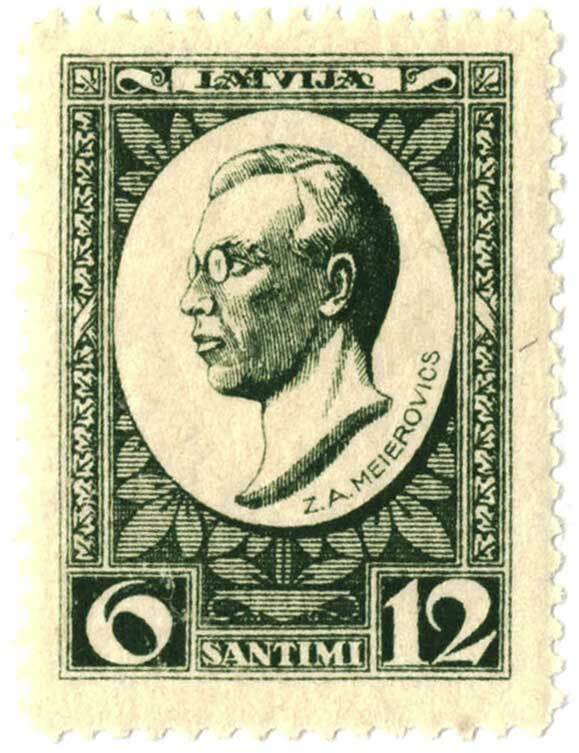 Meierovics was born in 1887. He became one of the leading diplomats in the creation of the Republic of Latvia, and for several years until his heath, he was a member of the Latvian Provisional National Council. Through his efforts Great Britain recognized the Republic of Latvia de facto on November 11th, 1918. 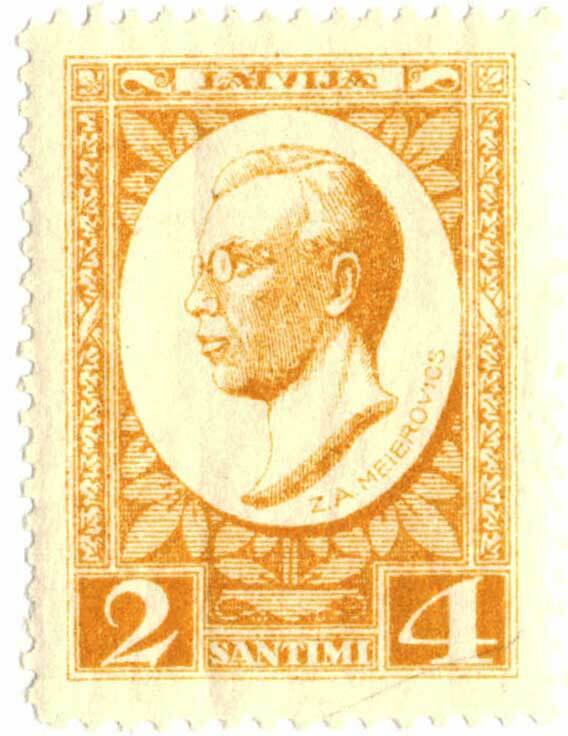 Meierovics became the first Minister of Foreign Affairs of Latvia, and was twice Prime Minister. 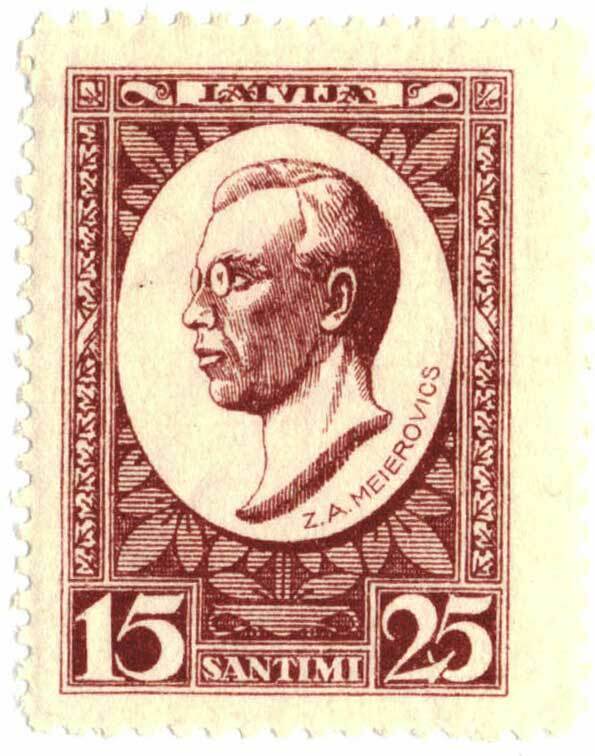 It was his personal achievement that Latvia won de jure recognition on January 26th, 1924. His efforts to organize a Baltic alliance never materialized. He died in an automobile accident in 1925. 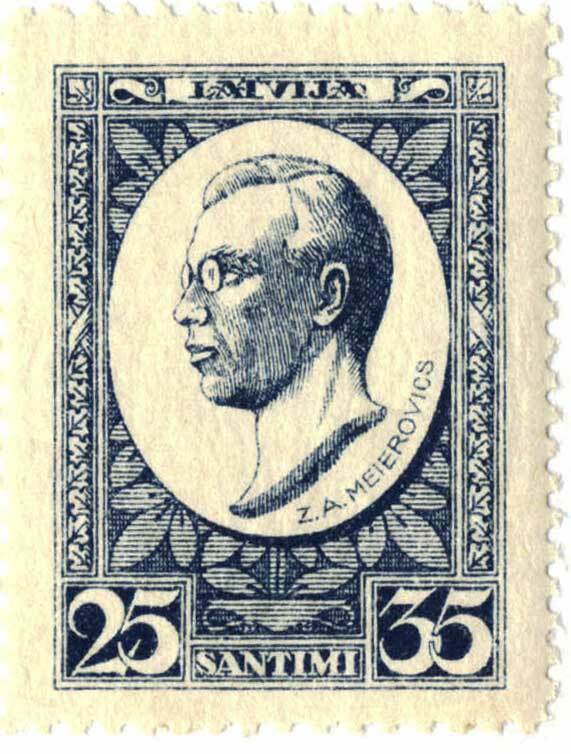 On August 20th, 1929 a set of five stamps was issued. 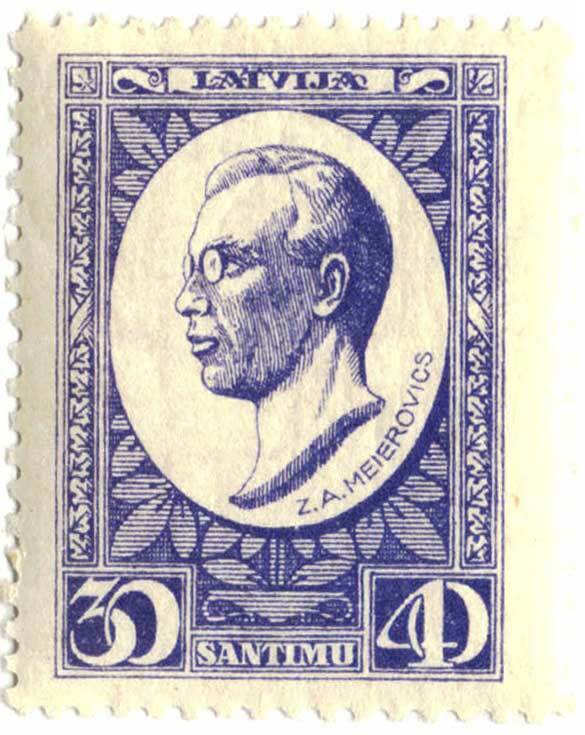 Each stamp had a surcharge of 10 Sant. for the benefit of the Meierovics Foundation. With this money and additional donations a monument was erected on his grave in Riga.